Daenerys Targaryen is as much an integral part of Game of Thrones as Jon Snow and Tyrion, and fortunately we’ve had the lovely Emilia Clarke playing her with bravado, strength, and dignity. Fans were exuberant when HBO announced they were planning on creating four (and now five) spin-off series set in the world of Westeros once the show’s eighth season has concluded. Though they’ve yet to reveal what those five shows will be about or if any Thrones characters will be returning, our very own Khaleesi herself has confirmed that she will not be a part of those shows. “I have no doubt there’ll be prequels and sequels and who knows what else. But I am doing one more season. And then that’ll be it,” she told Rolling Stone. Could this be due to the fact that the Mother of Dragons doesn’t make it out of the final season alive? It’s entirely possible, since we are, after all, talking about the show that famously axes off key characters. 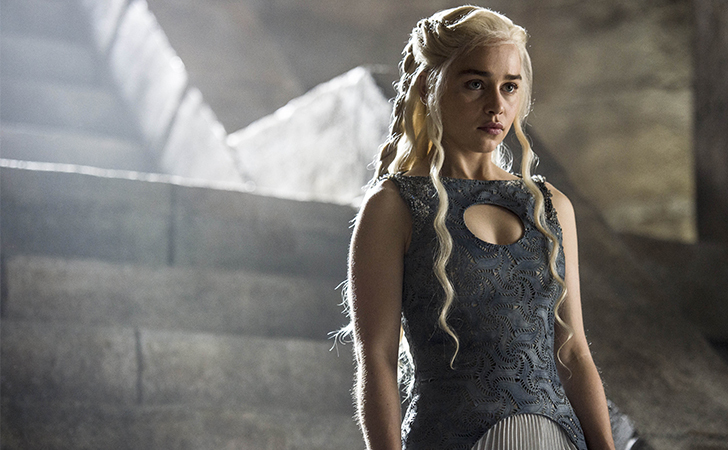 Game of Thrones returns to HBO on July 16 in the U.S. and July 17 in the U.K.
Are you sad to hear that Daenerys will not be returning, or do you think we’ve seen enough of the character already? COMMENT below and let us know what you think, and be sure to SHARE this article to let everyone know!